There are so many amazing ways of connecting content with your audience: video shows, podcasts, epic list posts, free resources, and yes, webinars. But when your workload is already full (and whose isn’t? ), how do you add another marketing channel into the mix? In this post, I’m going to show you how to do a webinar the smart way when you already have heaps of work on your plate. I can’t answer that for you. But I can present a few stats to help you decide if they’re a worthy investment. Webinars attract an average of 233 attendees. Webinar viewers watch an average of 50 minutes. Watchtime has increased by 31.5 percent since 2010. “Question and answer” time is the most popular—and expected—form of interactivity. Of global attendees, 20 percent downloaded content, 7 percent submitted questions, and 31 percent responded to polls. Whether this is your first, or fiftieth, webinar, you’ll find value in the path-of-smartest resistance we’re about to travel. Learn how to host a webinar like a seasoned pro. Choose the best webinar software and tools for you. Learn how to record a webinar and promote the replay. Obliterate the technical barriers with step-by-step instructions + visuals. Get our free Webinar Planner + Webinar Talking-Points Template + Email Follow-Up Template so you can work our proven process for hosting efficient, effective, and engaging webinars. Grab your free planner and templates so you can follow along. We’ll be using them throughout the post. Now, let’s crank out a crazy-good webinar, shall we? Our approach is dead simple; and we’ve written about it before. It’s called the “minimum viable project” (MVP) approach. It’s a play on the famed “minimum viable product” of The Lean Startup fame. An MVP’s goal is to get you through a loop of “idea → ship → analyze” as quickly as possible. Our aim is to make your webinar an MVP. It’s to find the baseline that will produce the largest return from the smallest amount of effort. Or, repurpose a piece of content you’re going to create. For our purposes, we’re going to repurpose an existing piece of content. But if you’re going to opt for path number two and create something fresh, check out this post so you know exactly what your audience is dying to know from you (it’s called your “content core”). Now, if you don’t know your top-performing pieces of content, you should start there. To snoop out your winners, you can of course use Google Analytics. One of my favorite ways, though, is using the analytics dashboard right inside of CoSchedule. It’s a quick way to run a report of what content has performed the best on social media. Now, after 15 seconds of clicking, I have an incredible candidate for an MVP webinar topic. My audience is interested in this content. And even better, they believe their audiences are interested too. I know this because they shared it with them. Now, with just a few more seconds, I see that this post got 2,084 page views in the last 30 days and 1,126 unique visits—not bad for a post that’s over 6 months old. After 30 seconds of clicking around, I’m sold! However, I’m really confident this topic will play well because not only do I have the traffic data on my site—but I see the social side as well. As you narrow down your webinar topic, I urge taking social stats into account alongside traffic to your article or blog post. Once you’ve landed on a subject, the rest is a matter of process. So we’re going to walk through the 4-stage approach we use for webinars at CoSchedule. We’ll cover each in detail, below. Adaptation: Adapt your top-performing content into a webinar. Promotion: Get the word out so you have as many registrants as possible. Delivery: It’s showtime—smile big, use the right tools, and have fun! Nurture: Follow up, thank your new friends, give them gifts, and use their feedback to optimize for next time. Notice that this is exactly how your free MVP Webinar Planner is organized. So make sure you download it and follow along! Decide what content you will repurpose as your MVP. Adapt your content into a script. Craft a giveaway resource as an incentive to stick around, come back for more, and put your ideas to work. We can already cross step one off the list! We’re going to host a webinar on writing emotional headlines that people want to share. Now, we need to decide which format will work best for this webinar. Chances are you’ve attended a webinar or twelve and already have an idea. Presentation: This is one of the most common formats where a presenter shares a PowerPoint presentation and gives a rehearsed speech. It’s easy to create, but is also less engaging. Interview: You can interview an expert either together on-screen, over the phone, or with a screen share. This format is engaging, but make sure you’re familiar with the guest in case they go off-script. Q&A: This is similar to an interview, except the questions are coming from the audience, which will boost engagement. You can have guests submit questions beforehand so there’s enough content to fill the allotted time scheduled for the webinar. Panel: Just like a live a panel, this is where you have several speakers discuss a certain topic. Panels are great for offering different perspectives and opinions from experts. Just make sure the panel members get along. Product demo: If you have a product or service, this is a great format to increase leads and reach customers who are interested in making a purchase since you’re showcasing your product. In our case, a presentation or interview makes the most sense. Also, we can add Q&A breaks throughout and at the end. 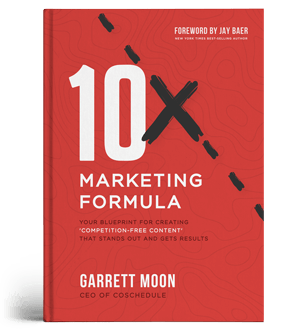 So, I could either interview the original author, our CEO Garrett Moon, or have him present. Alternatively, I can adapt his content into a presentation of my own. To keep things (and schedules) simple, I’ll take the risk of being a bore and prep a webinar where I present the content myself. To keep things engaging, I will also have opportunities for Q&A with my attendees. Next, it’s time to adapt the actual content into my script, or talking points. The key here is to pull the main points and simply bullet-point them. You’re not creating a manuscript to read from. You’re creating an outline to talk from. In this case, it’s also worth revisiting the social media stats for insight into what people loved most about it. This post got CRAZY love on Pinterest—which is of course all about pics. As I read through the post to begin writing my script, I see some beautifully designed + highly informative images. I know that this needs to be a centerpiece to my presentation and will certainly become a part of my slide deck (more on that in the next step). This template is setup to map your existing content straight into a presentation webinar format. When you open it up, you’ll notice introductory content, and then five sections for each slide. From here, simply open up the template and use its structure to map your content into talking points, links to pertinent resources you want to mention, and transition statements. A great way to adapt your post into a script is to think about structure. Hook: After analyzing 5,556,914 headlines, we found the secret to writing headlines that spread like wildfire. The common denominator of the top-performing headlines was surprising. But numbers never lie: it’s all about a nerdy metric called the Emotional Marketing Value (EMV) score. “What’s in it for me?” statement: The findings of our research allows you to predict the success of your headline before you ever hit publish. After implementing our findings, you can have complete confidence your headlines will get attention amidst the flurry of content online. You can be sure of this because we built a free tool called the Headline Analyzer that scores your headlines and helps you improve them via empirical data. Thesis: The key to effective headlines is in their emotional resonance—a metric called the Emotional Marketing Value (EMV) score. Our findings: We know this is true because we crunched the numbers and learned that posts with higher EMV get more shares every time. Why we trust our findings: We calculate a headline’s EMV based on accepted research dating back to the ‘60s and ‘70s—research corroborated across multiple languages. How the measurement works: There are three layers of emotional resonance: intellectual, empathetic, and spiritual. How to write better headlines: To start, use our free tool that will break your headlines down and show you exactly where to improve them. How sentiment impacts performance: You’ll notice positive headlines consistently outperform negative ones. Examples (before/after): Seven examples of poor headlines, how to rewrite them for optimal performance, and why. An overview of what we covered. A succinct explanation of how it will help you. A clear call-to-action so the audience understands their next step. From this outline I can add bullet-points below each item to explain it. Those become my talking points and, as you’ll see in the next step, each point becomes a slide. Easy as pie because the hard work has already been done. Your content will then drive the slide deck you design. And when you move through the process this way, your slide deck will be much easier because you’ll know exactly how many slides you need and what’s going to be on them. Next, we like to actually sit down with Ashton, our designer, and walk through the outline with her. This is also a frictionless process because she’s the one who designed the post graphics. Now, we simply need to cover the content that needs to be on each slide and the presentation’s flow. If you don’t have the benefit of a professional designer, though, no problem! It’ll take a bit longer, but you can still use excellent tools like services like Slidesmash or Canva for free Powerpoint, Keynote, or Google Slides templates, or Graphic River for paid templates. If you’re doing this yourself, make sure to work through a guide like Canva’s “Presentation Design 101.” This article is an excellent primer on things like how much info to include per slide, how to choose great fonts, color palette choices, and more. This article walks through ten principles with an example slide presentation to illustrate each. Another helpful article is “The Know It All Guide To Color Psychology In Marketing.” This post walks you through the nuts-and-bolts of which colors go well together and why it matters. Finally, it’s time to create a free giveaway for your webinar viewers. You can get pretty wild here—however, remember the reason behind this step. Your giveaway simply needs to help your viewers put what you taught them into action. Obviously, the format of your giveaway resource is largely dependent upon your content. In my example post, I would create a 3-part giveaway bundle like this. First, I’d include the “180+ Power Words For Writing Emotional Headlines” graphic I embedded above. It’s incredibly actionable and easy to reference. So it will add value to anyone who wants to write shareable headlines. Second, I’d create a headline writing template in either Excel or Google Sheets. The most helpful way to do this would be to take the five steps to writing emotional headlines (listed in the talking-points outline above) and give the viewers a place to work through each. It covers the five steps working from left-to-right. This way, it gives the user an option of either using our tool (notice the link at the top of the sheet) or of working the process manually. Either way, it eliminates any additional prep work on their part. This allows them to simply fill in the blanks following a proven formula for success. Your giveaway resources should answer that question. Notice also that this example resource also serves a business purpose for CoSchedule. It offers them a simpler way to accomplish the task—using our tool—without forcing them to use it. They can get the same results using this resource, but it helps them see how much legwork our tool saves them. 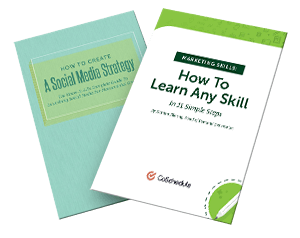 I now have a solid 2-piece giveaway resource for my webinar viewers. And because it’s compressed, it’s ready to be emailed out or easily downloaded via a link. Now that we’ve adapted existing content into a webinar format, it’s time to make sure we get people to register! What size audience do you currently have? What segment of your current (or prospective) audience do you want to register? What budget can you allocate toward advertising your webinar? Setup the webinar in your chosen software. Write and schedule your promotional emails (or messages). For our example, we’ll look at promoting to an existing audience. However, here’s a quick note on whether or not to invest in advertising your webinar. To decide if spending money on advertising, you obviously need to forecast what kind of return to expect—also called “Return on Ad Spend” (ROAS). ROAS is straightforward. To calculate it, simply divide the gross revenue your ad campaign generated by what it cost. So, if your campaign generated $5,000 in gross revenue and you invested $1,000 in ad spend, your ROAS = $5. This could also be expressed as 500 percent or a 5:1 ratio. Of course, if this is your first webinar, you don’t have the benefit of past metrics! As a guideline, when we test advertising on a new channel at CoSchedule, we set a budget of about $20 per day. Then we measure impressions, CTR, and ROAS before investing more heavily. Creating landing pages has become something of an art. But their core function is simply to act as a clear signpost and vehicle for conversions. For an in-depth strategy behind creating landing pages, check out this article we published. For our purposes in this post, we’re going to cover how to set one up using a service like Unbounce (though there are plenty others to choose from, including Leadpages or Launchrock). Next, you can opt to design a landing page from scratch—or easier—work from a template. In this case, Unbounce has magical templates designed specifically for webinar promotion. Next, you’ll find a few pre-designed templates. Click on the one you like (I just went with the first one) from the selection. Then, enter the name of your landing page on the right-hand column of the interface. Now we’re into the fun stage—designing your page and writing your copy! Unbounce uses a standard WYSIWYG interface that’s pretty straightforward. You can go as wild as you want here… But the bones are adding your headline, your body copy, and creating your CTA. Or dive headlong into writing an appetizing headline like the Copyblogger team suggests. Whatever your cup-o-tea, knock out your landing page content, then move onto the geeky integrations stuff so your CTA button has a place to send form info. Now, everyone who opts-in via your landing page can be neatly organized into an email list ready to receive more info about the upcoming show! At this stage, we have our webinar content ready to roll. We have a sweet slide deck and a killer landing page hooked into our email service. Now it’s time to setup the webinar itself so you can officially begin promotion. However, this is where people often get hung up. Why? Because there are so many webinar platforms to choose from! In this example, I’ll be using Zoom, the platform we at CoSchedule use. Though there are plenty of solid choices like Livestorm that you can test run for free. The big deal here is to stick to your basic needs and then jump into the tool. How many viewers do I need to make room for? Will I be sharing my screen + a webcam feed of myself/presenters? Do I want the ability to record and replay the webinar? Will my viewers want the opportunity to chat, ask questions, and follow links? There are a bunch of other details to think through, but these are the main questions you need to answer so you adequately prep for showtime! Let’s walk through setting up a webinar in Zoom. To start, make sure to grab yourself an account by clicking on the “Sign up” button in the upper-right. Once you’re in, click “My Webinars” in the column at left, then the “Schedule a Webinar” tab at the top of the dashboard. From here, enter the deets like the webinar title, description, date/time, duration, timezone, whether you require viewers to register, and your video settings (these control whether or not viewers can see you and/or your co-hosts). When you scroll down, you’ll see more settings. Select your preferred audio and whether or not your viewers need a password to view (we like to let ‘em view as easily as possible). Also, notice you can choose to have the webinar start recording automatically—this is a really good idea so you don’t accidentally forget to record it. If it’s your first go ‘round, you’ll be surprised at how easy this is to do because you’re focused on so many different things at once. So make it easy on yourself and tick this radio button. Once scheduled, you’ll see your webinar’s rap sheet. This dashboard displays the info you input as well as your webinar ID (which you’ll want to keep handy for sharing and organization). Additionally, if you plan to reuse these settings, go ahead and select “Save this Webinar as a Template” for efficiency’s sake. Next, there are two more essential tabs: “Invite Attendees” and “Email Settings.” And these bring us into the next step… Sending those promo messages! The important item in the invitation tab is the “Registration URL.” You’ll want to grab this to share with your email list, on your website, and on your social channels. This is a great idea because it takes one more detail off your plate—and an important detail at that. So choose your settings using the “Edit” text to the right of each option. Once your webinar is set up and scheduled, it’s time to roll out the digital red carpet and promote it. Because your webinar may be outside of the norm for your content, I recommend approaching it as its own marketing project. If you’re a CoScheduler, here’s how to painlessly setup and automate the entire thing! We covered how to set up your landing page—now it’s time to make sure your registration link or email opt-in is correct. This is important because you’ll be sending all of your traffic here to convert traffic into an audience with your stellar CTA! This is one of those, “Duh… Of course we’ll post about it on our site…” line items. However, in the flurry of promotion, it can be easy to forget about this one until the last minute instead of posting ahead of time. Get the word out through your email list—and get even more effective by listening to our conversation on getting bigger email marketing results with Kim Courvoisier from Campaign Monitor. The free social message optimizer, which optimizes your messages for engagement and traffic. And the best time scheduling feature, which uses a data-based algorithm to share pre-written social messages at peak-traffic times customized for every network. If you anticipate your webinar will drive business (which if you’re investing the time, I hope you do! )—test some ads on Google Adwords or Facebook. Or whichever channel you get the most traction on. If you’re torn on where to allocate budget, here’s a nice breakdown of the difference between Adwords and Facebook ads. Finally, if you’re co-hosting a webinar with an industry influencer, make sure to give them all relevant details so they can promote it on their channels as well. Also, if you play your cards right, you can use guest blogging as a promo strategy. Alright, now that you’ve promoted your webinar like a pro, it’s time to execute. As with any skill, practice makes perfect. To deliver the best webinar you can, it’s important to rehearse and prepare. Perform a dry run with your chosen webinar software. Show up early to say hello + press record. Invite questions and prioritize answering them. Log all feedback or unique questions for future use. There are a million articles and tips to become a great presenter out there… However, my favorite thing to do when I want to sharpen my presentation skills (which is always) is to watch phenomenal presenters and learn by example. Once you’re sufficiently inspired, it’s time to login and test out your webinar tool. I suggest creating a test webinar using the steps outlined above. This way you have a pressure-free opportunity to test all of the buttons, features, and potential kinks. Record toggle: This is the button you can select to start, pause, or stop your webinar recording. Mute mic: This icon will mute your selected audio input—meaning viewers can see you, but they can’t hear you. Video stream control: If you stop sharing video, a profile picture will be displayed and your audience can still hear you. Essentially, this is like “muting” video for an audio-only stream. Q&A box: The question and answer function allows viewers to ask questions privately, outside of public chat. You then have the option to answer the question “on air” or privately via “text.” After the webinar is finished, you can download a log of these questions—which can be super helpful for analyzing how things went! Share screen: This feature allows you to share your screen rather than your webcam. Remember, this means your audience sees exactly what you see. So ensure any private information like passwords or proprietary information isn’t open. Webinar chat: This is the public chat available to everyone on the webinar. Additional options: You will find additional options by clicking on the “More” icon. These include streaming live on Facebook or YouTube, and sending individual invitations to the webinar-in-progress. Once you’re comfortable with the interface, hit record and run through your presentation. This will allow you to practice your talking points, switch from being on-camera to narrating your slide deck, and then ending the webinar with style. Now that you’re comfortable in the tool, spend a few minutes double-checking the details. Recruiting help for chat and Q&A moderation during the webinar. Have your earbuds or headphones handy to avoid an echo on the webinar audio. Mute your phone and onscreen computer notifications to avoid interruptions. Have your mic ready and plugged in. (You can use the built-in mic or upgrade to something a little nicer like a Samson C01U like we use at CoSchedule.) If you decide to opt for an external mic, simply select the “Caret” icon next to “Mute” and choose your preference beneath the “Select a Microphone” title. Congrats—you’re ready to webinar with the best of them! Our rule of thumb is to log on 15 to 20 minutes early—especially when we’re co-hosting with multiple panelists. This gives us all the ability to ask final questions and ensure everyone’s equipment is working. Then, we take the webinar live about 5 minutes early for some banter with the early comers! ^ You know, to keep it light. This helps you warm up and connect with your audience while also giving you a final technical check to make sure all systems are go. Just don’t forget to press “Record” when you officially kick off the webinar. Now, it’ll be (mostly) smooth sailing to the end! When you’re live in a webinar, you naturally want to watch the clock and make sure you’re getting through your content quickly enough. However, as noted in the talking points template, make sure to give your viewers every chance to ask questions as you can. It’s tempting to plow through your content—especially if you’re running behind. However, webinars give you a unique opportunity to connect directly with your audience. So take it. If people are asking you relevant questions, answer them! Our webinars are untraditional because we’ll even jump out of the deck to answer questions—especially when they're about our product. Never be afraid to rock an impromptu product demo when it makes sense and directly answers your viewers’ questions! Sometimes off-script moments are the best! A framework we use to present content is to always begin with the content our audience most wants to talk about → then move to the intersection between our desires and theirs → and finish with what we want to talk about. This way, if you’re going to do a product demo (whether planned or impromptu), it can act as the bridge. This way, you can show how to apply your advice using your product. So your talking points move from left to right over the course of the webinar. This way, you don’t end with a product demo—which often sends drop-off rates through the roof! Pro Tip: If you’re simply overwhelmed with questions and out of time, share your Twitter handle or email address and direct further questions there. In the case of Twitter, you can also have questioners use a unique hashtag (e.g. “#[webinarname]?”) so everyone interested can search for and find the questions. Finally, webinars are a great way to gather feedback for specific content. You can use viewers’ questions and comments for this. And you can also use the “Poll” feature. This is also a nice way to encourage interactivity midway through your presentation. To use it, click on the “Poll” icon at the bottom of your presentation window. This will launch a dialog box that allows you to add questions on-the-fly, or select from a pre-made poll. Once you click on “Add Questions,” a poll-creation page will load in your browser. You can name your poll, write questions, select single or multiple-choice formats, and craft answers for your audience to select from. Your poll will now be available in your webinar window. And when you’re ready to use it, simply click “Launch Poll” to collect the data. Anytime you have the chance to gain real-time feedback from your audience, take it. The more insight you have on your audience’s problems, thought processes, and buying motives, the better you can help them—and in turn, position your product or service. Way to go! You just knocked out your first (or fiftieth) webinar! The final stage of your MVP webinar is short and sweet. Following up with a recap email + THANK YOU! Publishing + promoting your webinar replay. Leveraging fresh ideas into new content, projects, and features. To follow up well requires a thank you, pertinent links and resources, and a reiteration of your webinar CTA. The “MVP Webinar Email Follow-Up Template” has a place for each. And as the name implies, we simply do this through an email. Once you’ve knocked out your replay you can upload the recording to any video platform you’d like. Whether it’s Wistia, YouTube, Vimeo, or anywhere else! For me, I chose to record my webinar straight to my hard drive. So all I have to do is navigate to the “Zoom” folder that was automatically created when I installed the software. It organizes them by date of recording and other nitty-gritty details. This way if you host the same webinar (with the same title) multiple times, you can easily differentiate them. I recorded this webinar on July 5, 2017—so that’s the folder I’ll select. Next, you’ll find three files within the recording folder (you can ignore the “m3u” file for our purposes). The two you’ll be concerned with are the “m4a” and the “mp4.” As indicated, the m4a is audio only. So if you just want to make the audio available, that’ll the file for you. The mp4 is the video + audio file, which is what we’re looking for here. Now that we’ve found our stellar webinar video, simply upload it to your video host of choice, nab the link, and share, share, share! If you’re using YouTube, navigate to your “Creator Studio” account, and click on the “Upload” icon in the top-right corner of your window. Next, you’ll be prompted to either select the video file from your folders list or drag-and-drop it. You can also decide whether or not you’d like your video set to “Public,” “Unlisted,” “Private,” or “Scheduled” view (here’s more on the use-cases for each). Once you’ve selected your file, it’s time for the moment of glory! Now is the time to upload a custom thumbnail, add awesome tags, swipe your promo copy for a description, and manage other details (here’s a step-by-step walkthrough). Well done, you. Now share that link for everyone to see. Finally, we arrive to the last step in the MVP webinar process. It’s time to gather and organize any feedback or new ideas you got from the webinar. After all, there’s always something to improve or optimize. So take a few minutes while things are fresh to record audience feedback or notes you may have taken. I use a combo of CoSchedule + Evernote for this. But any note-taking app that you have easy access will do. Next, it’s business-as-usual. Throw in a title, choose any pertinent labels or tasks. Or even add some comments for team collaboration. This will allow one place for all of your team’s ideas and feedback to live. The reason I like to log ideas in my CoSchedule dashboard first is because of the flexibility and ease of retrieval. For instance, what if you jot down a real winner-of-an-idea and it becomes a blog post or video? You can simply convert it by clicking on the content type button on the top of the page and select the new content type. And last, there’s nothing worse than coming up with sweet ideas and then losing track of them—or even forgetting about them altogether. Now that I organize my ideas this way, this doesn’t happen. It keeps everything in one place so I don’t lose a thing. If you made it through this post, you’re ready to host a webinar you know is going to resonate well. You have the right tools and templates. You’ve got a proven process. Now all that’s left is to try one of your own.